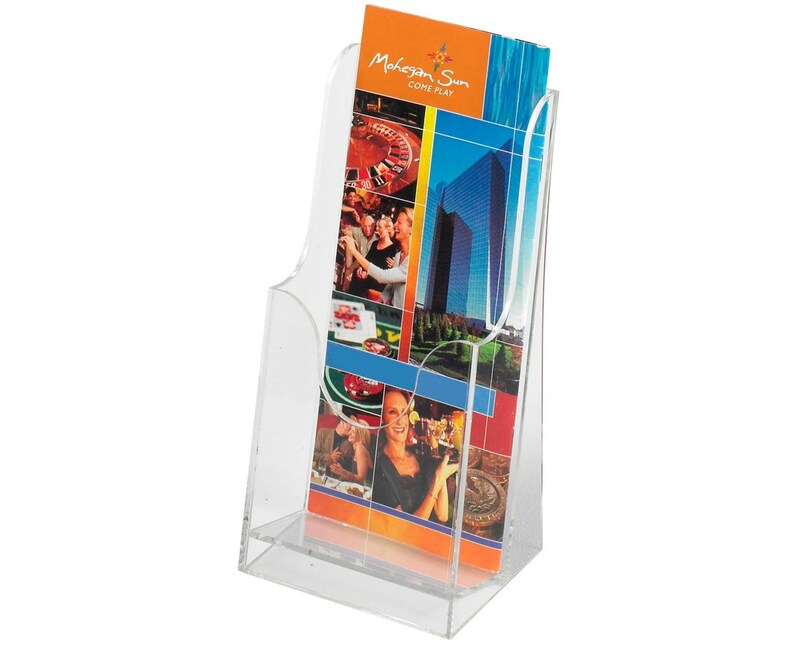 The Safco Acrylic Single-Pocket Pamphlet Display is a stylish pamphlet holder with a clear body to make the contents easy to see. It is 4.5 inches wide, 3.5 inches deep and 8.25 inches high and can fit up to two inches thick of brochure, leaflet, and other printed materials. It is made of acrylic and only weighs a pound. 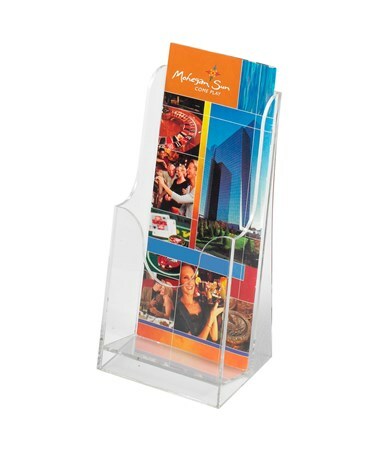 This brochure holder is also GREENGUARD certified, meaning it is safe for indoor use. Each pack comes with six units.